Canada definitely needs a mega project to succeed to show investors that it can build major resource projects under its current political and regulatory regime, writes Philip Cross. Canada’s economy cannot prosper without a growing and healthy resource sector. For years, the oil and gas industry has struggled with prices in North America well below those elsewhere in the world. The announcement that two liquified natural gas (LNG) projects exporting natural gas to Asia are going ahead potentially is a turning point for Canada’s energy industry. There are three major benefits from the LNG projects: building the pipelines and terminals; increasing British Columbia’s natural gas production; and raising the price received for natural gas exports. The higher price for natural gas in Asia than in North America is the principal rationale for LNG projects. Higher prices are needed to justify building a $6.2-billion pipeline to the British Columbia Coast. Without higher prices, it would be more profitable to simply ship natural gas to the U.S. on existing pipelines. Canada currently sells its oil and gas at a discount in North American markets because it cannot access higher prices on world markets. In so doing, Canada is deprived of billions of dollars of export revenue, money that could be used to finance other investments and fund government services. The largest potential impact of LNG exports to Asia is raising the price rather than the volume of natural gas exports. Currently, natural gas exports are limited to the U.S., where prices are well below the price in Asia. If prices remain higher in Asia, then exports diverted from the U.S. market also receive higher prices on top of the 10 percent increase in output. Higher prices in Asia than in the U.S. market substantially raise the potential gains from LNG exports. If the price of natural gas in Asia was the same as its 2014 average, the net impact would be to raise net exports by $564-million a year due to the 10 per cent hike in production if exports to Asia receive the same price as in the U.S. However, if the price of our natural gas exports to Asia rose to $10 (Canadian, well below the current price of U.S.$11 in Asia), then the boost to exports increases sharply to $6.3-billion. This is because not only does the 10 per cent increment in new production receive the higher price, but the other 90 percent of exports to Asia that is diverted from the U.S. market also receives nearly double the U.S. price. This serves as a model for how our economy benefits from diversifying exports from North America where oil and gas prices are low to world markets where prices are higher. Of course, the same rationale for selling natural gas at a higher price in Asia also holds for the proposed pipelines connecting Alberta’s oil to Asian markets. British Columbia seems to be hypocritical in allowing its own natural gas industry to benefit from access to Asian markets but denying Alberta’s oil the same relief. The importance and potential benefits of moving Alberta’s oil to world markets was underscored when the discount for Western Canadian Select oil reached $40 a barrel. Statistics do not tell the whole story of the impact of the LNG projects. While important in itself, green-lighting these projects sends a broader message to investors around the world that Canada is able to undertake large projects in its resources. 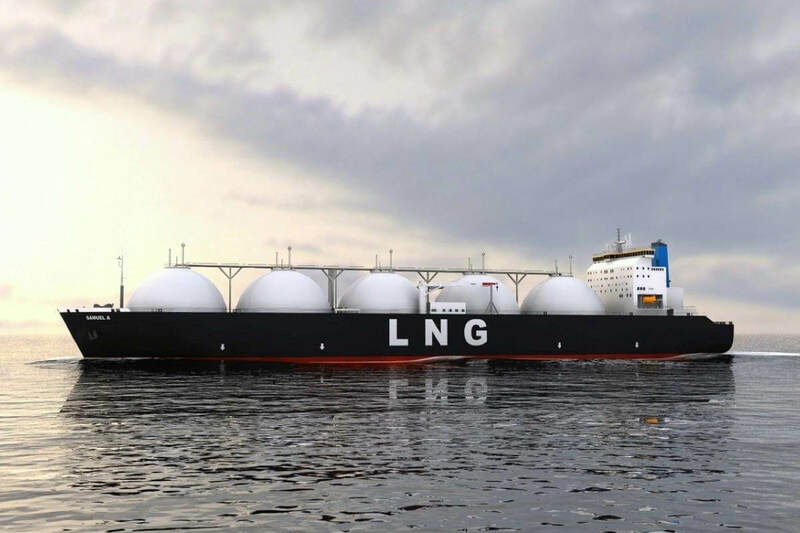 It may not be entirely coincidental that the announcement of these projects was quickly followed by the initiation of the public review process for Gazoduq’s $14-billion LNG proposal connecting Ontario to Saguenay in Quebec. Before these announcements, Canada was acquiring a reputation as hostile to large investments in resource projects, reflecting the cumulative weight of delays or cancellations to projects such as the Trans Mountain, Energy East and Northern Gateway pipelines or the Ring of Fire mining projects in Northern Ontario. Canada definitely needs a mega project to succeed to show investors that it can build major resource projects under its current political and regulatory regime. The two LNG projects in British Columbia may only be a first step in regaining trust among investors, but they are an important step nonetheless. Philip Cross is a Munk senior fellow at the Macdonald-Laurier Institute and is the former chief economic analyst at Statistics Canada. This article is based on a report by Philip Cross that examines BC's LNG mega projects.